Which is the popular tea in CA that most of the people prefer to drink? Do you mean variety, brand, type of brew or what?? Your question is lacking in specifics, especially for California with its diverse population. Frankly, there are so many types and brands of tea and so many ways of brewing it that it is difficult to say what "most" people prefer. It's not the same as in the south where "sweet tea" iced, is that which is consumed by most people. The question is regarding type of tea. Whether its sweet tea, iced tea, oolong tea, black tea or green tea.....I think now you got my point. Actually I am quite habitual to take views of my friends like you and on last poll friends responded well. So here come another poll from my side. At what time of the day you needed the tea most? About 3:30-4 in the afternoon. Tired time. Tea time. First thing in the morning, when I get to work, while I'm at work, when I get home from work, in the evening. But other than that I barely drink it! The morning is important. Apart from that, I like to have tea accompanying reading and writing, whenever that may be. Tea hours for me are pretty much the entire day: I drink tea for thirst and flavor and less for the caffeine, and I drink it dilute enough that I get only a little lift from it. On those days that start with hot chocolate, which has quite a punch of its own as I prepare it, I might not get to tea until lunchtime. And while I rarely start a fresh batch of leaves too close to bedtime, I will continue to drink infusions of a puerh or oolong started earlier right up until I go to bed. I start the day with coffee. The afternoon and evening are for tea. If I could only have one or the other I would choose tea. However, I do like a good cup of coffee every now and again. Coffee first thing when I wake up, but then tea over coffee nearly every time, if I'm at home anyway. Good tea when out in America is basically impossible, so then I do enjoy a good coffee when presented to me. I have coffee to start the day usually one large mug - occasionally a second one. Near to noon (elevenses) I switch to tea - I always have a large selection and they vary with the season, the weather and my mood. Yesterday it was a fairly mild "Russian caravan" tea - slightly smoky and spicy - of which I had brewed a full carafe (in my TeaMate) because I needed some to marinate chicken thighs for a dinner dish. Today I am drinking Republic of Tea's Celebration Tea "20th Anniversary blend of high-grown Ceylon black tea from Court Lodge Estate with sweet wine grapes, tea flowers with essence of Champagne. 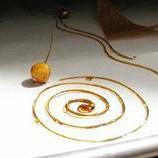 It's a fairly "rich" tea, the other flavors do not overpower the tea but enhance it. It's a limited edition tea so won't be around forever. I love and drink a variety of teas - the current stock includes teas from Ceylon, Assam, and Darjeeling; Gyokuro, Russian Caravan, English Breakfast, Earl Grey, Sencha, Gunpowder, and Silver Needles - but none can compare to the rich intensity of a perfectly pulled espresso. Two mugs of coffee for breakfast. Then another about 1. After that tea. Right now I'm on a genmaicha kick, but normally Earl Gray or a Darjeeling. I more often start my day with hot chocolate than tea, but after that, it's tea all the way. No coffee, and hardly any black tea, because I'm a bitterphobe. Today, started with leftover leaves of a lovely Dan Cong oolong tea, and now I'm working on a nice green Gu Zhu Zi Sun, floral and sweet. If I had to choose one or the other, it would be coffee, hands down. Not sure I could survive without it! Really, I drink coffee just about every day, whereas tea is only an occasional thing for me. Tea, if I'm at home or the office. Coffee usually, if I'm out and about. It's easier to get a decent cup of coffee in most places than a decent cup of tea. Perhaps stupidly, I have the belief that tea admits of more varied and subtle flavors than does coffee, which varies more in quality than it does in distinct flavors. Partly because of this probably stupid belief, I am more likely to see coffee as a more functional drink (for example, if I am having trouble staying awake in the afternoon). For enjoyment itself, however, I tend to drink tea. Another functional role for coffee: there are some social settings, like "getting a cup of coffee," where I feel it is more appropriate to join my fellows in coffee drinking rather than buck the trend. Finally, as Hassouni remarks above, good tea is hard to find in American establishments. Because of this, I do often order coffee at restaurants; this isn't because the coffee is particularly good, but is because bad coffee is easier to mask (with cream and sugar) than is bad tea. Tea for me, being English, This week a friend brought me a packet of Turkish tea from Constantinople . 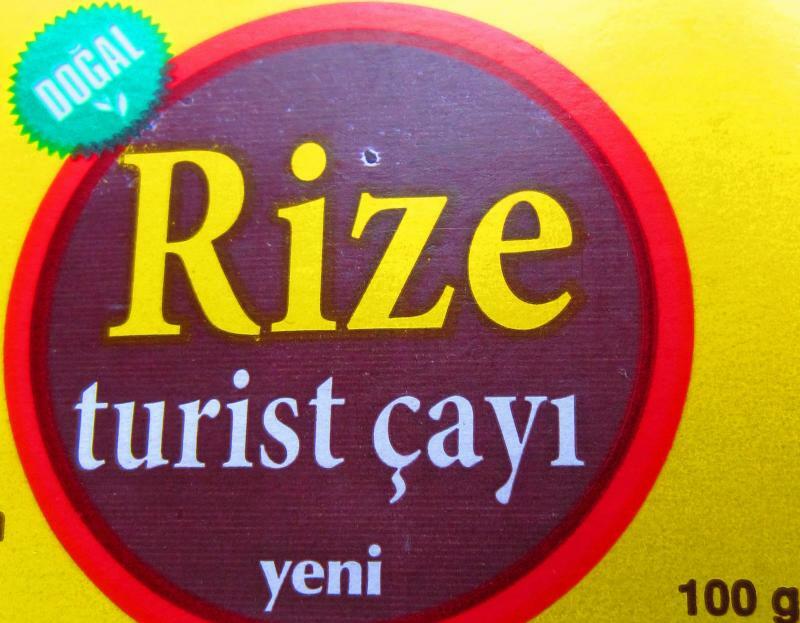 The packet says 'CAYKUR Rize Turist cayi' . I hope that doesn't mean Tourist Tea, anyway it is not at all English, having a grassy sharp taste to it, and a nice change from my usual M&S Gold.